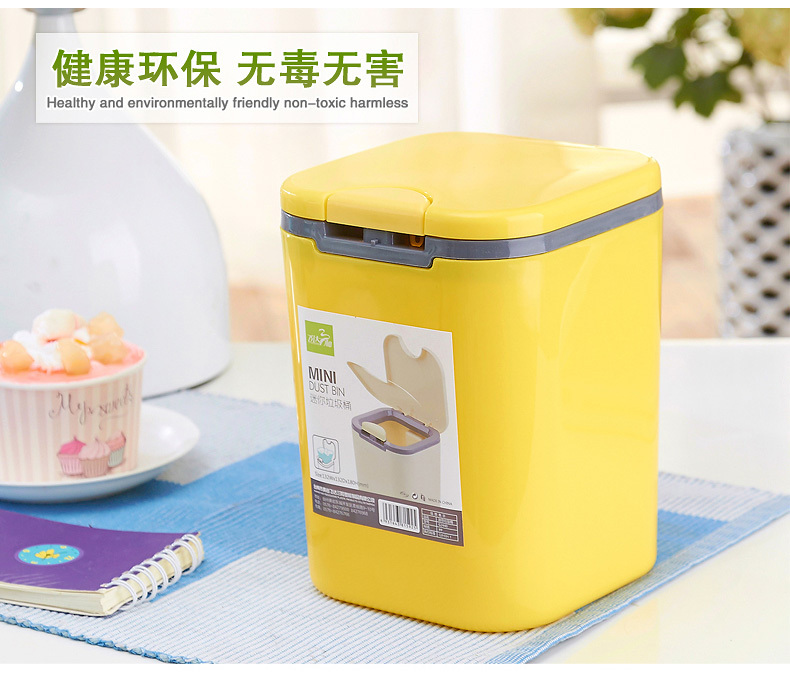 Made of eco-friendly PP material that is non-toxic, odourless, healthy, safe and durable to use. Exquisite workmanship keeps it strong and durable, shockproof and water resistant. 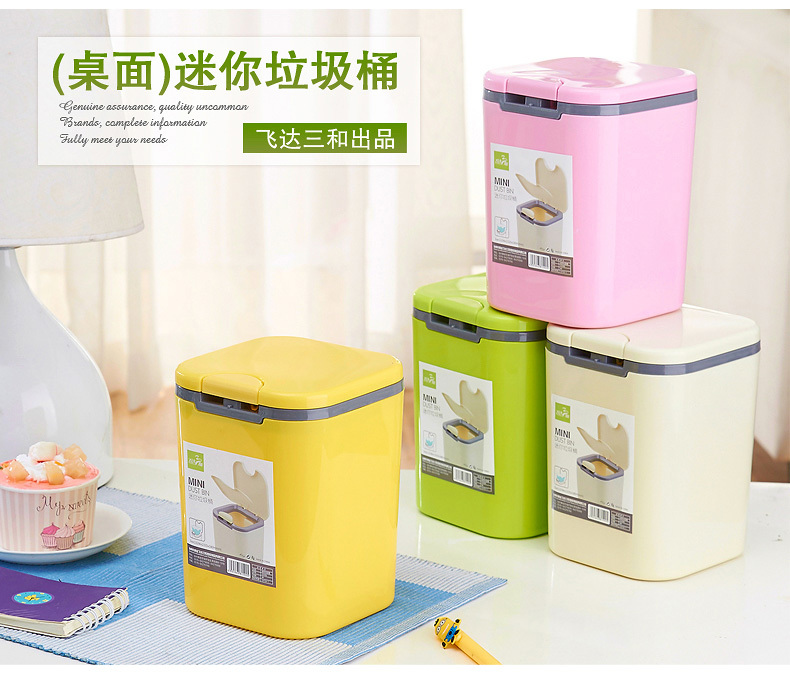 Creative and practical mini trash makes your desk, dresser, kitchen table vivid and clean. 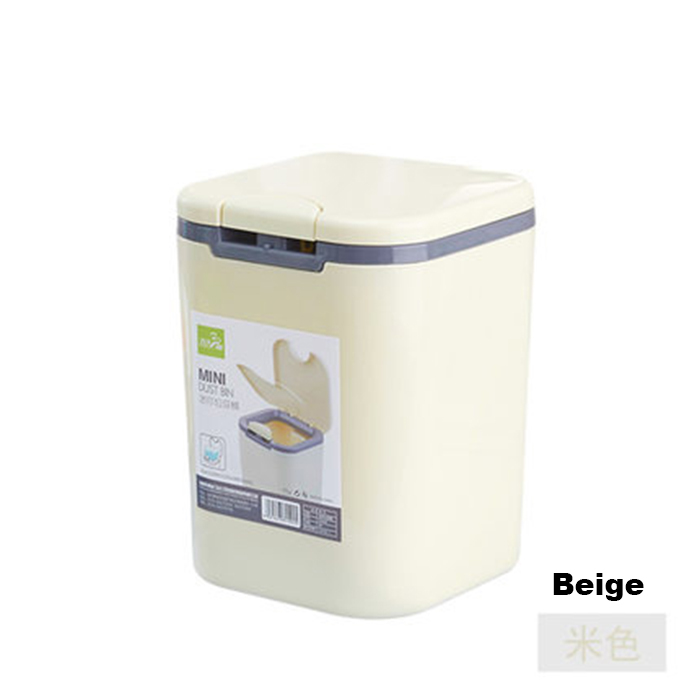 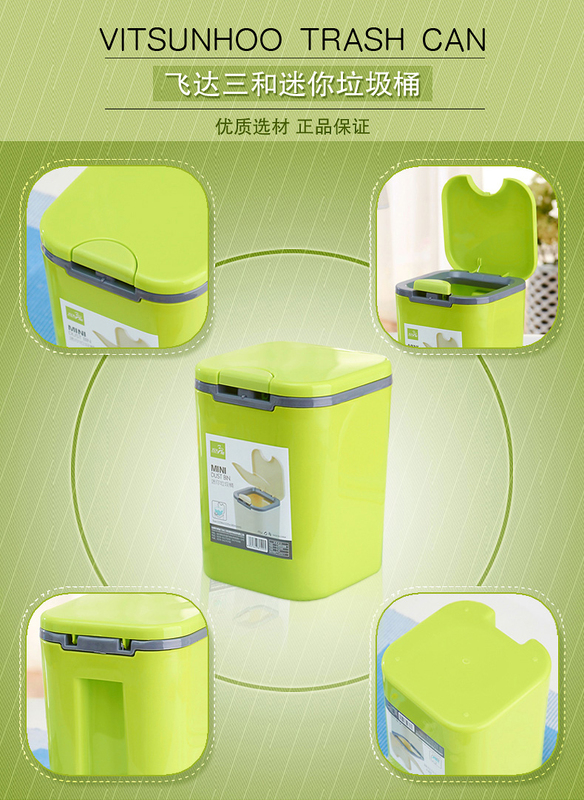 The trash can is processed by smooth polished and softly rounded edges, which is safe for touching. 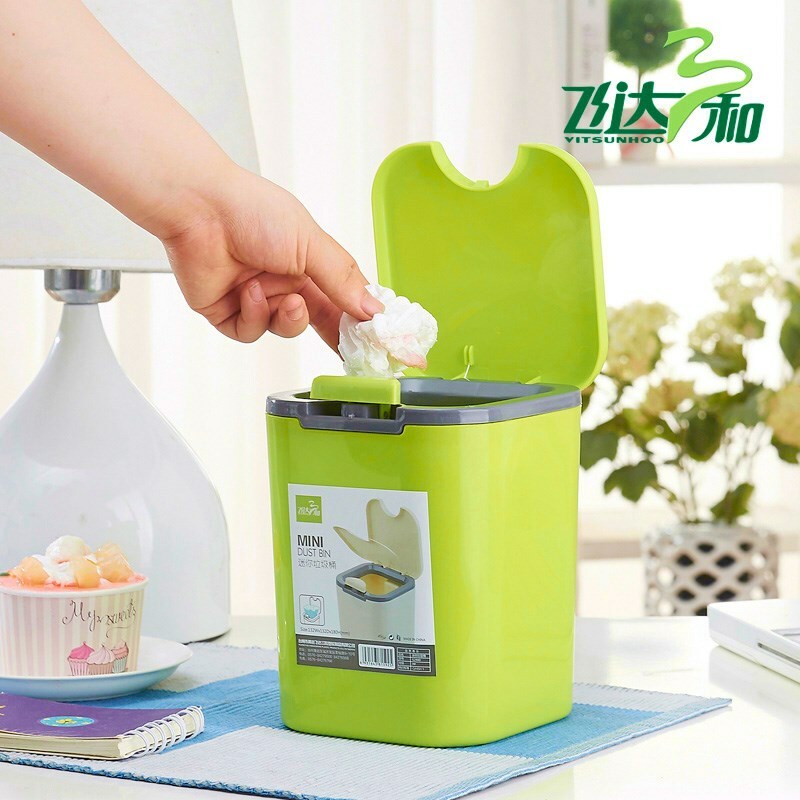 The unique automatic cover design is easy to open with gently pressing. 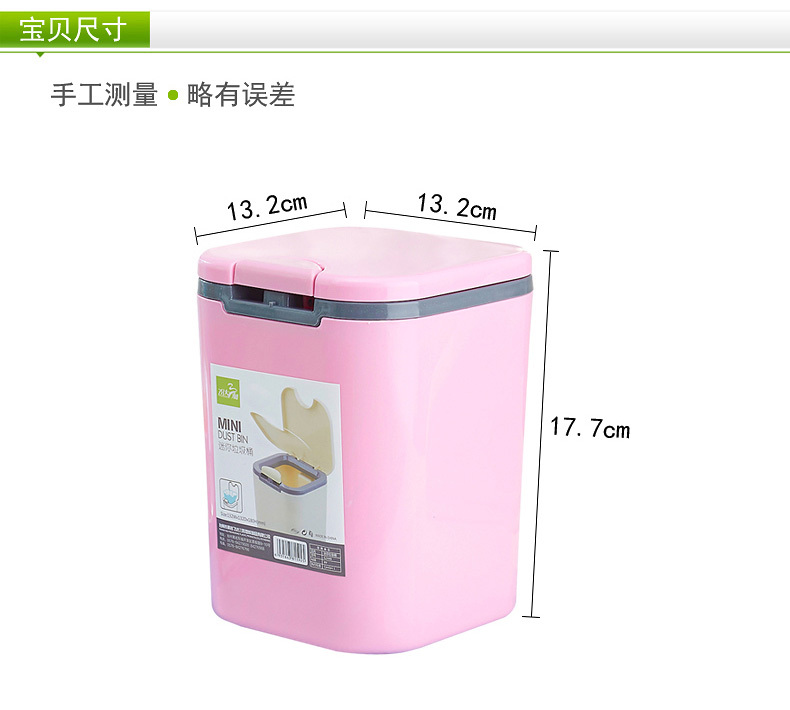 Mini volume occupies few spaces.